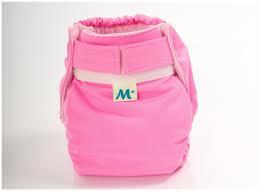 CoolCanucks Blog Contest ~ MiniMaestro™ Diapers Review & Giveaway!! Min­i­Mae­stro™ was born when a mother, Sophie Grat­ton, was hav­ing a dif­fi­cult time find­ing dia­pers that fit all of her cri­te­ria. This mommy of 2 chil­dren wanted to find dia­pers that were green and didn’t want any­thing to do with the reg­u­lar plas­tic ones that would sit in the land­fill for years to come. After lots of research, Sophie was extremely sur­prised to find out that day after day, in Canada only, we were fill­ing up land­fills with a huge amount of dis­pos­able dia­pers; in fact, more than 4,5 mil­lions per day! The recy­cling of plas­tic bags, while prefer­able to other dis­posal meth­ods, is not cost-effective. Plas­tic bags have only existed for 25 years yet the bil­lions that have been pro­duced since then have caused immea­sur­able dam­age to the envi­ron­ment and to wildlife. There­fore, Min­i­Mae­stro™ Dia­pers is def­i­nitely the way to go for any new parents!! Min­i­Mae­stro™ car­ries a sized pocket dia­per in 5 dif­fer­ent sizes in an exten­sive array of 12 funky colours. I received a size medium Min­i­Mae­stro™ Dia­per in the colour pink to review. Since they are a sized dia­per you don’t have to worry about the snaps to fig­ure out the rise and in fact, you don’t have to worry about snaps at all. Instead of snap­ping the wings around your baby’s waist, you use the Vel­cro tabs. 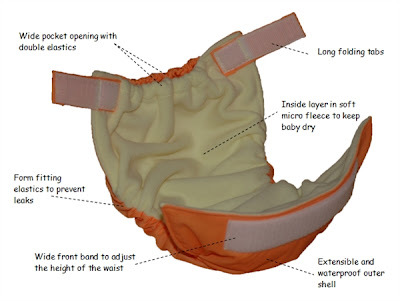 There is a wide band across the waist that allows you to get the best fit pos­si­ble for your baby. There are laun­dry tabs so the Vel­cro doesn’t attach to every­thing dur­ing the wash­ing process. There is a sin­gle wide open­ing to place your insert inside the dia­per. The insert is made of nat­ural and syn­thetic fibers between 2 lay­ers of extremely plushy soft bam­boo fleece! They also come in a vari­ety of sizes to fit baby just perfectly!! Win It!! Enter my sweep­stakes give­away below for a chance to win one of their own Pocket Dia­pers as well from Min­i­Mae­stro™ Open to Cana­dian and US residents. 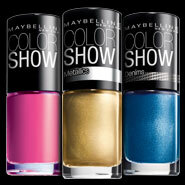 CLICK HERE to get your $2.00 OFF coupon when you buy 3 May­belline Nail Pol­ish from webSaver.ca. Before you head out to Babies R Us be sure to CHECK HERE for over $250.00 in print­able coupons. Every­thing from Sher­mag Cribs, Bed­ding, V-Tech to Exersaucers. 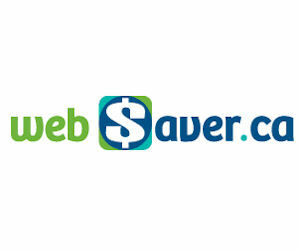 Thank You Wally2009 for shar­ing yet another great money sav­ing coupons. On May 12, 2012, Cana­di­ans can help cook up a cure! Visit any of the more than 450 M&M Meat Shops loca­tions across Canada to sup­port the 24th Annual M&M Meat Shops Char­ity BBQ Day ben­e­fit­ting Crohn’s and Col­i­tis Foun­da­tion of Canada (CCFC). M&M Meat Shops’ fran­chisees, staff and thou­sands of vol­un­teers from coast-to-coast will grill ham­burg­ers and hot dogs to help fund research to find the cure for inflam­ma­tory bowel dis­ease (IBD). On May 12th between 10:00 a.m. and 4:00 p.m., visit your local M&M Meat Shop to show your support. With over 450 M&M Meat Shops stores across Canada, we need almost 10,000 vol­un­teers. Just a lit­tle bit of time will make a HUGE dif­fer­ence. Click here to find the M&M Meat Shops store near­est you! The CCFC is look­ing for vol­un­teer lead­ers to assist in a vari­ety of roles includ­ing M&M Regional Chair, M&M Chap­ter Coor­di­na­tor, local Store Cap­tains as well as day of event vol­un­teers. To find out more about a spe­cific role, email our vol­un­teer team today. Win a new Bar­be­cue! Reg­is­ter to vol­un­teer for Char­ity BBQ Day online or at 1–800–387‑1479 ext 215 and your name will auto­mat­i­cally be entered in our draw. *Only vol­un­teers who par­tic­i­pate at Char­ity BBQ Day 2012 are eligible. 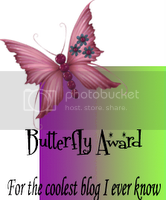 CoolCanucks Blog Contest ~ PhoneFetcher Review & Giveaway!! I recently came across a nifty lit­tle gad­get on the net called the Phone­Fetcher and it’s so neat! If you are any­thing like me, you are for­ever mis­plac­ing your cell phone, (or in my case, I con­tin­u­ally think that I have lost it for good and have mini panic attacks while search­ing through my purse or pock­ets for it!!) and with­out think­ing you set it down some­where, or with a huge purse like mine, it’s dif­fi­cult find­ing any­thing — let alone a cell phone! Well thanks to the Phone­Fetcher, one no longer has to worry about where their cell phone is any longer. The Phone­Fetcher is sim­ply mde on a stretch­able bungee cord, which allows tex­ting and view­ing with­out hav­ing to dis­con­nect the phone. When the phone is removed from the bag, we leave our Phone­Fetch­ers hang­ing out of our bag to alert us as we leave, that we do not have our phone with us. This new handy Phone­Fetcher just sim­ply attaches to a purse, back pack, gym bag, baby bag, belt loop, etc. on one end, and the other end attaches eas­ily to the ear­phone plug of a smart phone, mp3 player, iphone, or what have you! I tried it today while I was out, and let me tell you — it worked like a charm!! My friend Deb­bie always reminds me that it’s my OCD kick­ing in when I am for­ever search­ing for my iPhone, but not any more! This nifty new gad­get surely takes the worry out of me, no more hunt­ing end­lessly for my phone! Hurray!! The Phone­Fetcher comes in a vari­ety of very pretty colours, so pur­chase one … or pur­chase them all! These also make the per­fect gifts, and are espe­cially great to use for stock­ing stuffers as well! I absolutely rec­om­mend the Phone­Fetcher to every­one out there! You won’t be sorry! It hon­estly saves you so much time and trouble! Win It!! Enter my sweep­stakes give­away below for a chance to win one of their own Phone­Fetch­ers from PhoneFetcher.com! Open to Cana­dian and US residents. 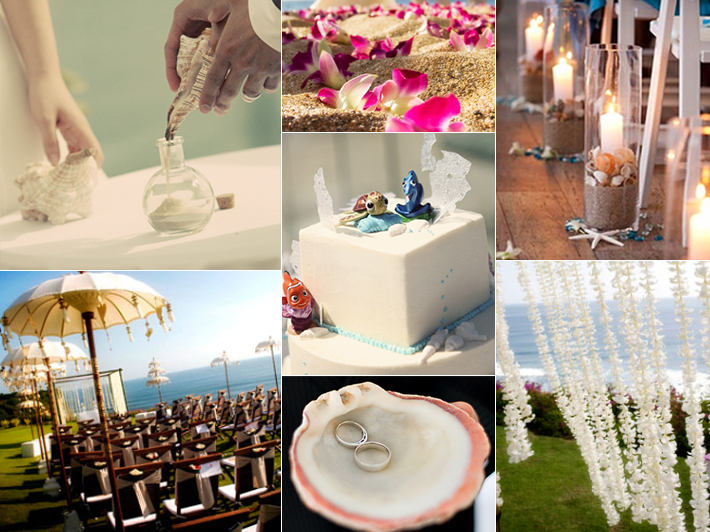 Transat Holidays 2012 Wedding In Paradise Packages: Joy, Bliss and Euphoria! Have you ever dreamt of the per­fect wed­ding? A wed­ding that looks like you paid thou­sands of dol­lars, yet you really paid next to noth­ing? You dream of all of the wed­ding and recep­tion plans that would make your day just absolutely per­fect, yet you greatly detest all of the stress that goes with wed­ding plan­ning? Many of your friends and fam­ily had pre­vi­ously had you involved in their wed­ding plan­ning, and you know first hand how stress­ful and frus­trat­ing all of it is! You need not worry any longer. Let Transat Hol­i­days take all of the stress and worry away, and know that you can enjoy a has­sle free wed­ding with the Transat Hol­i­days 2012 Wed­ding In Par­adise Pack­ages called Joy, Bliss and Eupho­ria! These wed­ding in par­adise pack­ages not only take care of you and your spouse, but all of your guests as well!! 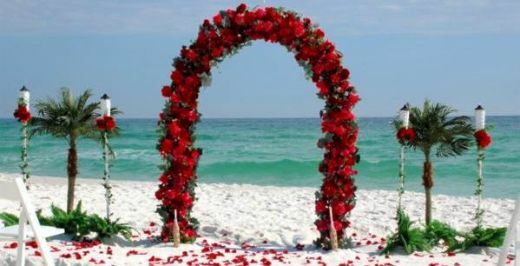 These des­ti­na­tion beach wed­ding pack­ages spe­cially designed by experts for this wed­ding sea­son are not only for the newly wed­ded cou­ples, but also for those cel­e­brat­ing renewal of vows too!! 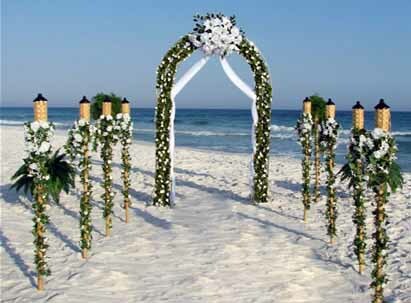 “Dream wed­dings designed by our experts so that you can expe­ri­ence your spe­cial day with com­plete peace of mind. ♥We promise to use our expe­ri­ence in des­ti­na­tion wed­dings to help you cre­ate the spe­cial day you’ve always dreamed about. 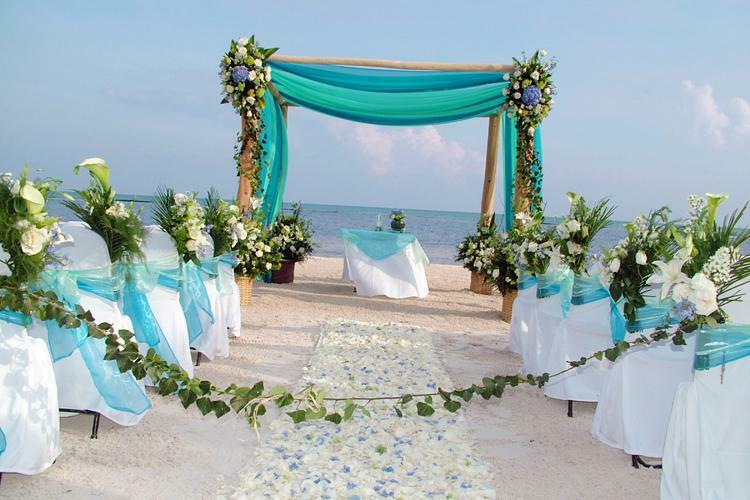 ♥We promise to pro­vide you with over 16 exotic des­ti­na­tions, the great­est choice of options and a vast selec­tion of turn-key wed­ding pack­ages at over 54 resorts, so you can choose the per­fect trop­i­cal set­ting for your wedding. ♥We promise to sim­plify your plans by offer­ing a no deposit wed­ding*: we will book and hold space for your wed­ding party and guests for up to 90 days with­out a deposit. Transat Hol­i­days cur­rently has 3 beau­ti­ful 2012 Wed­ding In Par­adise Pack­ages enti­tled Joy, Bliss and Euphoria! Choose the per­fect wed­ding that is right for you! “Sim­plic­ity is beauty. Plan your wed­ding in the trop­ics and ben­e­fit from an upgraded ­vaca­tion with fam­ily and friends. Your guests will be delighted by the advan­tages! 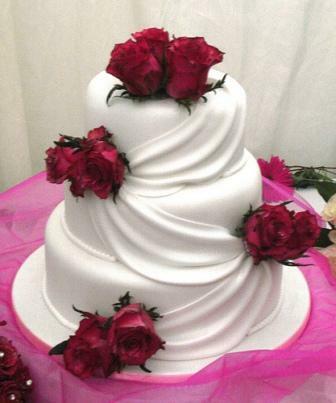 This pack­age includes all the essen­tials for a stress-free wed­ding and offers more pri­vacy for the newlyweds. “Want to plan the ulti­mate picture-­perfect wed­ding? We’ve got just the pack­age for you. Add an extra touch of class to your cele­bration and expe­ri­ence sev­enth heaven with excep­tional ser­vices to shine the ­spot­­light on your spe­cial day. “Turn reverie into real­ity with our most com­plete wed­ding pack­age. Com­pa­ra­ble to a tra­di­tional wed­ding, this option includes supe­rior ser­vices and all the fan­fare. Every­thing is taken care of, so you can tie the knot with total peace of mind. Our most ­pop­u­lar pack­age for a reason! You can view all of the par­tic­i­pat­ing 2012 Wed­ding In Par­adise Pack­age des­ti­na­tions by scrolling to the very bot­tom of this page to view the grid. Wed­dings often mean wor­ries and stress rather than the joy and bliss that only this spe­cial occa­sion is meant to bring. Stress no longer and def­i­nitely let Transat Hol­i­days take all of the worry away. You just can­not go wrong when book­ing a Transat Hol­i­days 2012 Wed­ding In Par­adise Pack­age. Just say “I DO” with total peace of mind, you won’t regret or ever for­get it. Much mar­i­tal bliss to all! 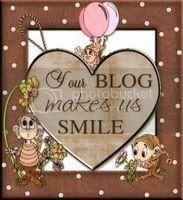 CoolCanucks Blog Contest ~ Bloom Creative Studio Review & Giveaway!! As many of you know, I have 35 nieces & nephews (this 35 makes up for both nieces/nephews AND great nieces/nephews), with 2 on the way. It is always excit­ing to be able to shop for all of my lit­tle pump­kins, although it is hon­estly hard to find great qual­ity children’s cloth­ing at rea­son­able prices. Great qual­ity usu­ally equals great price tags unfor­tu­nately, and with so many to buy for, it’s really dif­fi­cult for me to afford it all. 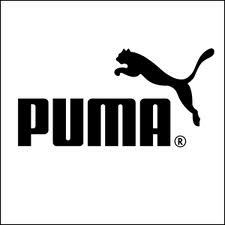 Fur­ther­more, I also find it hard to locate styl­ish children’s cloth­ing that is unique to all oth­ers. 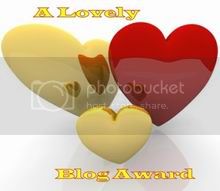 Until of course, I came across Bloom Cre­ative Stu­dio on the inter­net and fell right in love! 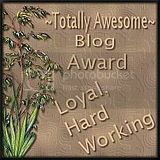 Bloom Cre­ative Stu­dio sells all things chil­dren on their main web­site, as well as also main­tain­ing an Etsy Store! 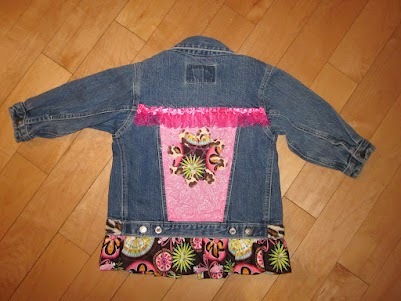 I was so pleased with the gor­geous lit­tle girl’s jean jacket that I was sent to review for Andi!!!!! Jen­nifer Winslow (owner of Bloom Cre­ative Stu­dio) cus­tom makes every­thing, you will never find two pieces that are the exact same! You can choose the colours as well as the styles and size, and voila! Con­sider it done!! Shop­ping at Bloom Cre­ative Stu­dio is a com­plete must, each piece ordered is spe­cially made in the US with love and care for the spe­cial lit­tle one(s) in your life. 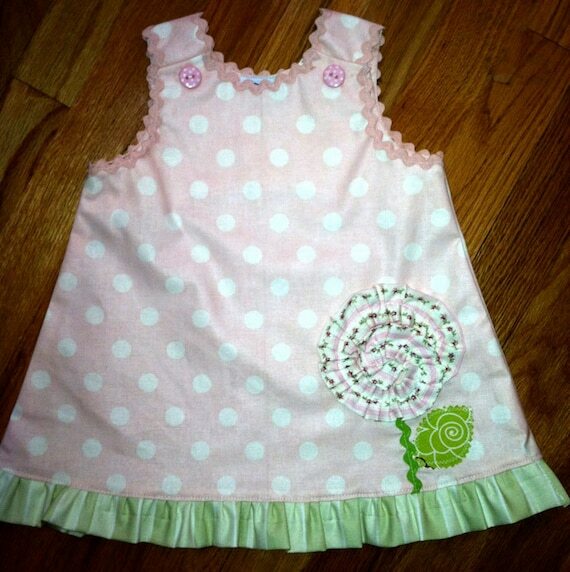 Be sure to check out all of the other phe­nom­e­nal children’s cloth­ing as well as children’s cre­ations sold at Bloom Cre­ative Stu­dio. You will be just as blown away with Jennifer’s work as I was! 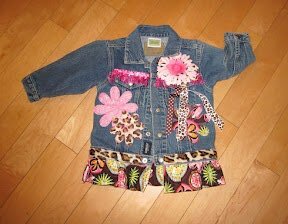 I thought that the jacket that I requested to review was super nice on her web­site, but to see it up close and per­son totally exceeded my expectations!! Isn’t is gor­geous?? I am totally sold on Bloom Cre­ative Studio’s beau­ti­ful work, and I know that you will be as well! Their cus­tomer ser­vice skills as well as deliv­ery time were also beyond outstanding!! Bloom Cre­ative Stu­dio gets a huge thumbs up from CoolCanucks!! Win It!! Enter my sweep­stakes give­away below for a chance to win a $35 Gift Cer­tifi­cate to Bloom Cre­ative Stu­dio Etsy Store! Open to Cana­dian and US residents. 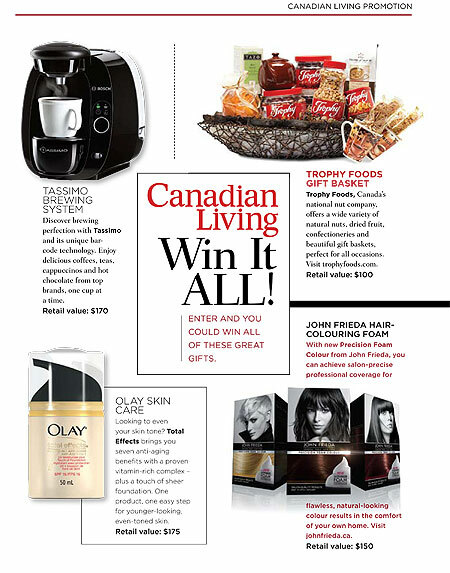 ENTER HERE daily for your chance to win a John Frieda, Tro­phy Foods,Olay and Tas­simo Prize Pack­age from Cana­dian Liv­ing. Con­test will end on June 30,2012.